How can we leverage the power of diversity to transform our institutions and ensure an extraordinary education for our students? This is a question that we asked of leaders from the MnSCU system and the University of Minnesota last year. In our conversation, we challenged each other to think about how we could integrate equity and diversity. 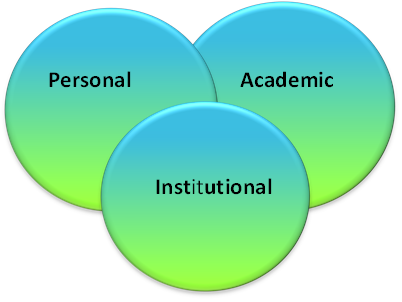 Our colleagues at the University created this graphic to describe integration in three dimensions: personal, academic, and institutional. As you think about these dimensions, what thoughts or actions do they spark for you? This entry was posted in Diversity, higher education and tagged diversity, equity. Bookmark the permalink.